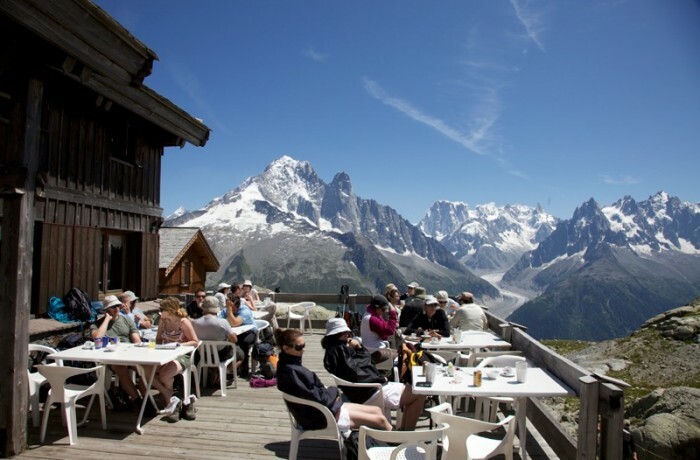 The Lac Blanc refuge offers a superb terrace for sitting and enjoying the incredible views across to the Mont Blanc massif. On a clear day you will see the Mer De Galce,the spires of the Aiguilles and Mont Blanc. Not to mention overlooking Lac Blanc itself.